Yeehaw – It’s Rodeo Time in Houston! Yeehaw, folks…It’s almost Livestock Show and Rodeo time in here in Houston! I am so excited to share with you information on the upcoming Houston Rodeo in this edition of our weekly newsletter. The Rodeo is a pretty big deal around here, and you will soon not be able to watch local tv or listen to the radio without hearing promos for this fun event. But, it’s not just an event for cowboys and cowgirls. This year’s event will take place March 3 – 22nd at the NRG Park in Houston. You can go early and enjoy carnival games, rides, sideshows, shopping, and exhibits. The food is always a highlight, but if you’re on a diet, you may want to eat beforehand! The wine garden is always a fun side place to hang out for the adults, and the Disney stage is a hit with children. Last year, my children were pulled up on stage to sing and dance with the performers – it was a blast! 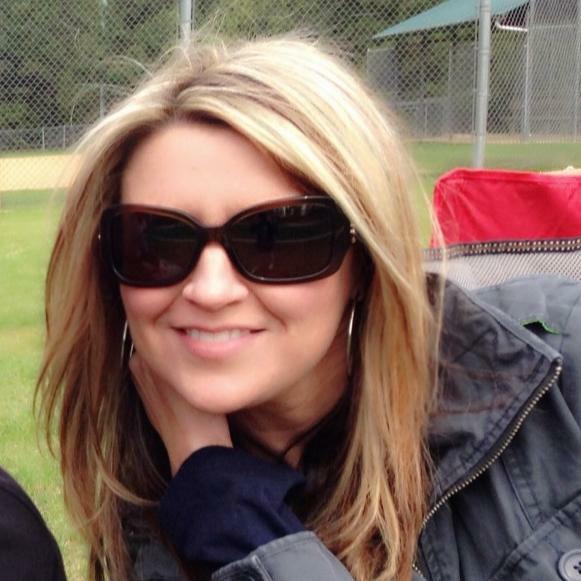 When it’s rodeo time in the evening, we make sure to be in our seats so we don’t miss the crazy Mutton Bustin’ kids and the heart stopping bull riders! 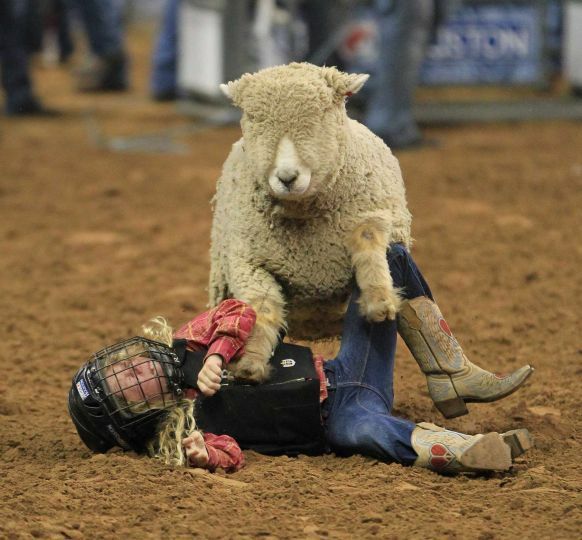 I wonder how many of those Mutton Busters grow up to be bull riders??? Our absolute favorite thing to do is end the night with some awesome country music. In fact, many people just go for the concerts and skip the carnival, exhibit and rodeo all together. Brad Paisley is one of my all-time favorite live performers along with Alan Jackson, both of which will be there. But, if you’re not into country music, there are several acts that might be right up your alley. 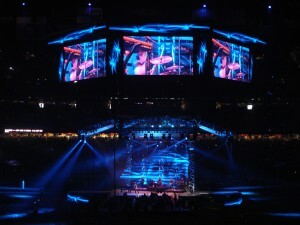 Announced at 12:05 this morning, here’s this year’s line-up: http://www.rodeohouston.com/Concerts.aspx Tickets go fast! So, if there is a concert you really want to see, my suggestion is not to hesitate if you want good seats. However, the nice thing about NRG stadium is that there really aren’t any bad seats. The stage for the rodeo rotates, and because it is a football stadium, the jumbotrons are in effect! Complete information can be found at www.rodeohouston.com. Look for many events prior to the rodeo as well. I love watching the news during rodeo time and hearing about the trail rides in particular. Many trail rides come into Houston days before the rodeo. They come from all over Texas, and one even travels from Mexico! You’ll also see events leading up to the rodeo including parades and fundraisers. The Houston Livestock Show and Rodeo raises an incredible amount of money for youth scholarships and education. It’s a wonderful cause, and a great time to be had by all. I hear you can even get your boots shined for the low, low price of $7!